As the next lock was just round the corner, I did not have much chance to get ready and have been suffering with a bad hair day ever since. The Austcliff boat was just behind us today, so we decided to press on and not stop until Compton and the Big Boat Clean Up. The day was glorious in all its sunshine and the locks were also lovely. One slight downer on the day was an incident at the staircase locks with a boat coming down. As they were in the bottom lock, I filled the top lock, thinking nothing of it. The other boat was very long and the lock was quite leaky, meaning the steerer and his dog got a little wet. In all honesty, it was no worse then being in any lock with the rest of the canal system behind in a leaky lock, not just a lockfull of water. Anyway, I did the decent thing and apologised to the steerer and his wife. 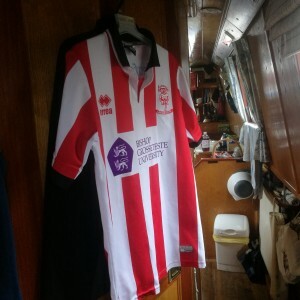 However the bloke just couldn’t resist having a snipe at Marcus on his way past……Marcus then told him to mind his manners and get some boating experience, as well as the fact that he had a bilge pump and to stop moaning. He’d heard me apologise and decided to “have a go”. Bratch was a pleasure and James yet again got to show off to some people smaller (and bigger) than himself- even telling the lock keeper “I can do that on my own! !” I tactfully suggested that the words “thank you” would soften the big headedness a little. We are all a little quiet as the holiday draws to a close. 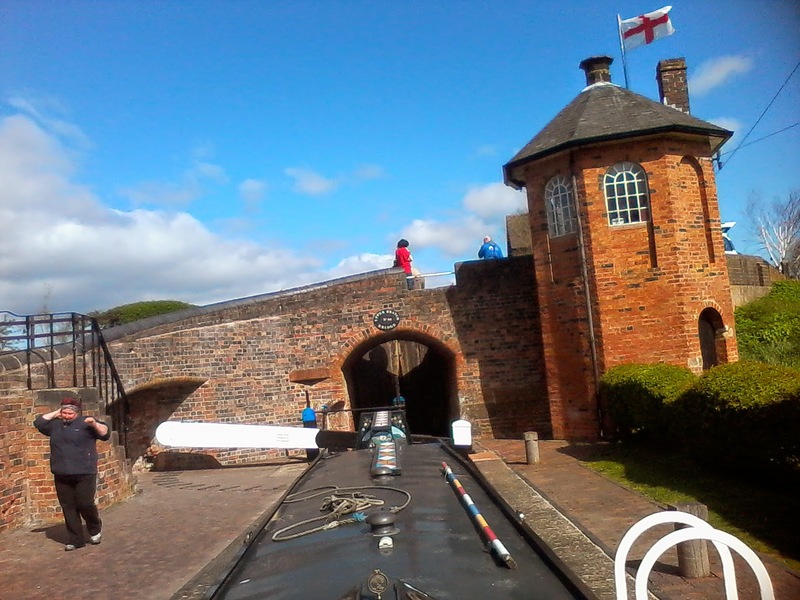 I managed to get a seat on the hatch between Dimmingsdale Lock and Whitwick and enjoyed teh sun on my face as we talked about Ambassador. All too soon, we were at Compton and nearing the end of our trip. I went off to the launderette to do the washing- a new experience for me; quite a relaxing one- whilst Marcus and James pottered about on the boat clearing up. When I came back, the sun was still bright in the sky and we decided that it was still good boating weather, so we decided on a small detour along the Shroppie. James had not seen the stop lock, we had only told him about it. Unfortunately the paddle gear “bit” him on the finger and we had a plaster emergency. The hours run up the Shroppie was one of the best evenings for a long time-perhaps because we knew it was our last evening. We finally moored up, just below Brewood and enjoyed a bowl of soup and crust baguette. We know now that we will be back in May and are looking forward to the next few days away. Pottering Around; Messing About by the Canal. Back to Work and Source Some Funding.